This type of advertising is known as sequential advertising. It is a sophisticated targeting tactic used by many digital marketers and advertisers. It works by allowing people who have previously seen an ad to receive follow up messaging so that the consumers receives a more complete brand story. This type of advertising already exists on Facebook and Twitter. Snap’s pitch differentiates their offering from Facebook and Twitter options though. They shed the need for complex tracking and targeting, and, instead sequence messaging in the Discover channel for a contextual match. When Snapchat was asked about sequenced messaging, they confirmed that it is open to all advertisers, but added that the app’s audience buys are the most popular. The audience buys include email list targeted, interest targeting, and look-alike targeting. As Snap grows, it has continually had entertainment brands be the first to buy ads on its new offerings. This remains the case with sequenced video ads. Universal Pictures and Sony Pictures were both some of the first to try out the sequenced messaging tools. Right now, Universal Studios has a sequenced campaign running within Cosmopolitan’s Discover channel. The ads are for the new horror movie Split, and a teaser for the film has been split up into three parts. 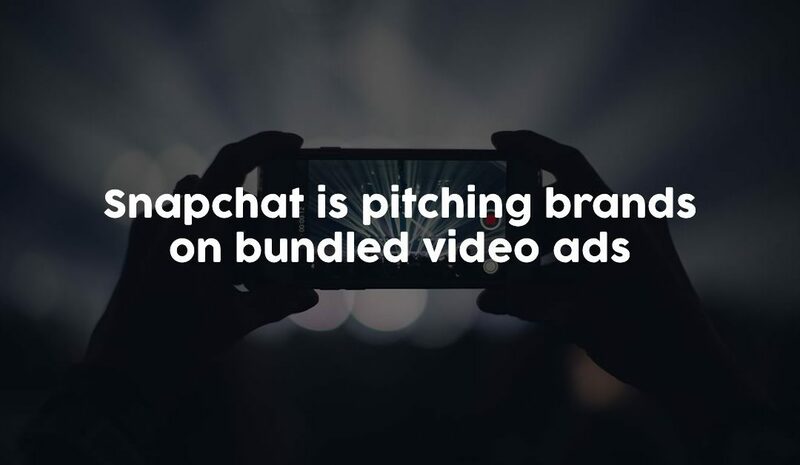 According to one digital executive, Snapchat’s sequential ads are just limited to video. But he said that he expects the format to soon be integrated into the newly launched autofill and lead-generation tools for deep linking.